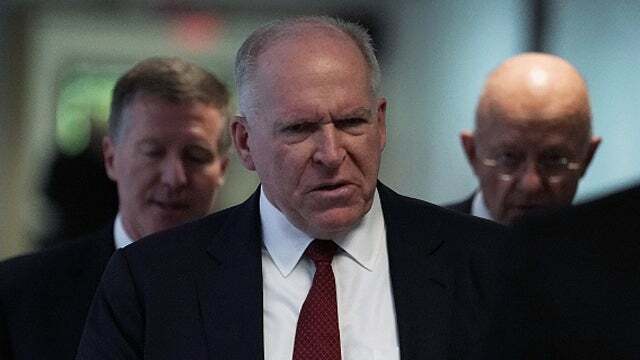 RUSH: Man, oh, man, what is John Brennan paranoid about? What in the world has got him so bothered? Hint, hint — we know. But, man, is he acting out. This is the former CIA director under Obama. And he’s acting like he is the head honcho of the Trump opposition and Trump resistance, and he may well be. But Trump is getting under this guy’s skin like I haven’t seen. Greetings. Great to have you. Rush Limbaugh and broadcast excellence. Yes, siree, Bob, my friends, the next three hours will go by faster than anything you can remember. They always do. Fastest three hours in media. Telephone number, if you want to appear — and everybody does — 800-282-2882. If you want to send an email, we check ’em. The address is ElRushbo@eibnet.us. So yesterday President Trump tweets out that he thinks it’s outrageous that the FBI, the DOJ would be spying on his presidential campaign. And he demanded, and he followed through on it today, that the FBI and the DOJ open an investigation to get to the bottom of it. After the president tweeted that, we got this from John Brennan, who once voted for the Communist Party candidate for president and who is — let’s just say he’s dubious. In my mind, this guy’s dubious. All Trump is doing is reacting to the Drive-By Media. The Drive-By Media last week, New York Times and Washington Post, both outed a spy, an informant in the Trump campaign. The president is simply responding to what was in the Drive-By Media, demanding an investigation to find out what’s going on. By the way, there’s a little wrinkle here that I need to add to these stories, New York Times, Washington Post. Except the inspector general report is not about this. The inspector general report is about the Clinton email investigation at the FBI. There may be some overlap of personalities, Comey, for one. But the two investigations are separate. So that can’t be the reason for these stories. You know what the reason was? Before these stories took place — do you remember this? — Devin Nunes, House Intelligence Committee chairman and Trey Gowdy have been demanding Nunes for months to see one thing. Nunes wants to know what the hell it is that triggered this investigation. What is it? And they have not released the document that explains what triggered the investigation. Now, about that, as I keep jumping off into tangents, but fear not, because I always circle back to the center of the circle. Andy McCarthy had maybe one of his best columns ever on Saturday at National Review, “In Politicized Justice, Desperate Times Call for Disparate Measures.” I would actually love to read this whole thing to you, but I’m not going to because it’s very long. But we’re gonna link to it at RushLimbaugh.com. It was posted early Saturday morning. You should read it. Andy’s point, one of the points he made reminded me of something. He has stripped bare all of the confusion, the camouflage, the feints and the fakes and has zeroed back to what he thinks is the stated reason for this investigation, the whole thing, and it isn’t Papadopoulos being set up by Stefan Halper. They tried that as an explanation, but Andy doesn’t believe it. When Andy explained what it is, it triggered my incredible memory for things that have happened on this program. McCarthy’s theory is that the real beginning of this investigation that they want us to believe is when the DNC server was hacked, the RNC server, the attempt to hack it was thwarted, but the DNC server was successfully hacked, and from that point on, what did they tell us? They told us the Russians hacked the DNC server. And then, lo and behold, it wasn’t long before John Podesta emails started populating WikiLeaks, which then led those emails to be published publicly in American Drive-By Media and all other media. Except the problem with it is the FBI never examined that server. Remember, the DNC wouldn’t turn it over. The DNC would not turn that server over. Nobody knows what’s on the DNC server because Debbie “Blabbermouth” Schultz and whoever was running refused to turn it over. And James Comey at the FBI said, “Oh. Okay.” And instead they hired a third-party outfit called CrowdStrike. The Democrats hired a bunch of people to go out and do the forensic exam of their server, and we were told that the Russians hacked it. They still have not shown us any evidence of this. There is not a shred of evidence that’s been presented that that actually happened. So when Andy wrote about this, I remembered having discussed this, this very thing on this program. So I started an in-depth search of RushLimbaugh.com. And I went out there and I found it. It was June 26, 2017. And I’m gonna read to you from my transcript of what I said on June 26th, 2017. He’s got another blockbuster piece today, which we’ll get to. He’s been “on the warpath trying to get the Democrats to stop this by using several polls, this one being the most recent.” That they’re going down a dry hole if they run for reelection, trying to take the House on the basis of impeaching Donald Trump. And look at what else I highlighted in this. “Sorry, you can’t see it, Mr. Comey.” And that, by the way, I said in June of 2017, quote, “And that, by the way, is the only evidence we have of Russian meddling anywhere, is the DNC server. That, by the way, is the only evidence we have of Russian meddling anywhere is the DNC server.” And that’s it. And Andy’s piece — and let me tell you about Andy’s piece. Andy’s piece, you know, he’s a prosecutor. This piece of his is the opening statement, witness interrogation and closing statement that would wrap this up if Andy McCarthy were in charge of all of it. It nails it. Again it’s called, “In Politicized Justice, Desperate Times Call for Disparate Measures.” And it’s easy to forget things as they go by, because we’re being urged to forget things, our minds are being clouded with the injection of distractions. I think, for example, the New York Times and the DOJ outing their spy, Stefan Halper, I now think that was a misdirection play. I think it’s designed to get everybody looking away from what the FBI and John Brennan at CIA don’t want anybody seeing. And that is the whole premise for this whole thing. It’s not Carter Page, it’s not the Steele dossier. The whole premise is that the Russians hacked the DNC server. And to this day, every Democrat in this country and every Democrat member of Congress believes it. Nobody doubts it. Everybody accepted it. And we have never seen any evidence of it, and Devin Nunes has been demanding just that. This guy has been more courageous and has exhibited more guts than a member of Congress in recent memory has. He has stayed focused. And I firmly believe that the reason the New York Times and the Washington Post ran those stories last week outing their spy was an attempt to blame the leak on Nunes. Timeline again, Nunes for weeks, months, has been demanding not much, it’s not a whole lot of documents. He just wants to see from the FBI to the DOJ, what is it that you people have that started this whole investigation of Russian collusion with Trump. And they have yet to produce it. So last week Nunes and Gowdy were finally invited up to the DOJ where they thought they were going to be shown the documents, remember? It turns out they were not shown documents. And another meeting was set up. So Nunes and Gowdy leave, and then it’s a day, day and a half later that the New York Times and the Washington Post publish stories about a spy from the FBI, the DOJ in the Trump campaign. And I am convinced that they tried to have those stories sourced to Nunes. They wanted to make the case. The only reason they invited Nunes up there was to try to expose him as a leaker. They knew they were gonna leak these stories. They have a Nunes up there, they don’t show him anything, he goes away having not seen anything. 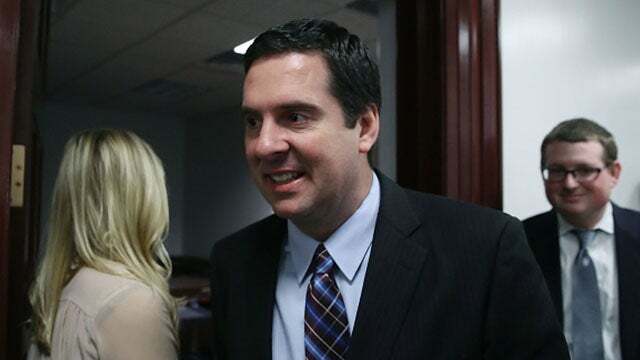 Then these stories hit, and the next objective on their part was to lay blame at the feet of Devin Nunes for having leaked what he had been told or seen. And they were going to savage him as a leaker and destroy his credibility. And he figured out what was going on in time to put the kibosh to it and is now refusing — There’s another invitation to go up there this week and he’s refusing any more invitations until he is going to get a guarantee that they’re gonna show him this document. So let’s go to the audio sound bite No. 4 because Nunes was on Fox Business Network on Sunday with Maria Bartiromo. It’s about a 10-minute piece, but we pulled one clip here. Bartiromo said, “You said this was the mother of all leaks conducted by the Department of Justice.” And again he’s talking about the leaks that led to the New York Times and Washington Post stories detailing everything the spy did. They just didn’t name the spy. NUNES: There were two mainstream media outlets on Friday night that had lots and lots and lots of details. If any of that is true, if they ran a spy ring or an informant ring and they were paying people within the Trump campaign, if any of that is true, that is an absolute red line. There is not an honest person in this country who can believe that taxpayer dollars going to fund this ring and operate like this like what’s said in the New York Times would have quite a bit of detail on it, if any of that is true, this a red line in this country. You can’t do this to political campaigns. If they paid someone, it’s an absolute red line, and this is over with. RUSH: Well, they admitted it! They admitted it! And remember, everybody thought this was to get an out to lessen the impact when the IG report comes out. The IG report is not about this. It’s about a Clinton email investigation. They leaked this in an attempt to harm Nunes. And in the process of leaking it, they confirmed that there was indeed a spy. Not only that, these people have done more damage to the electoral process than Vladimir Putin could dream of. The FBI, the DOJ, the people involved here, John Brennan, everybody involved in this phony hoax that the Russians tampered with this election, because they have sought to make everybody believe this election was not legitimate. That’s been the whole point. And its source is the DNC server supposedly being hacked by the Russians for which we have not seen a shred of evidence. So why is Brennan panicking? What the hell’s he got invested in this? He’s gone. He’s not the CIA director anymore. He’s out there, whatever, he’s chewing his cud, you know, tilling the fields on Stefan Halper’s farm in Virginia. What does Brennan care? Well, obviously Brennan cares a lot. Why does Brennan care? Well, the Wall Street Journal has a great story, column today by James Freeman. “Why aren’t we hearing about Obama on all of this? This was his administration that did all this. It was his people that did all this. Why isn’t anybody asking Obama what he thinks of what happened here?” Well, people did ask Obama, and he said none of this was possible. We’ve played those sound bites for you, and we’re gonna play ’em again. As you can tell, we are just getting warmed up. RUSH: The New York Times is trying to walk back some of their devastating reporting on the fact that there was a spy in the Trump campaign. You remember last week, James Clapper went on CNN and said, “No, no, no! That’s all hyperbole. There wasn’t any spying on Trump. They were trying to find out if the Russians had involved themselves in the Trump campaign,” which is the biggest crock. Because if that’s true, if that’s what we need to do, then when the Democrats have a Democrat nominee in 2020 let’s put a spy in there! I actually laughed out loud when I saw that one. There wasn’t any spying on Trump. Just like what Clapper said. No, no, no! They were trying to protect the Trump campaign from any Russian bad guys. She said, “The infiltration of a U.S. presidential campaign by a hostile foreign power presents a grave national security threat of the highest order,” except there was no evidence. They don’t have any evidence of Russian spy. Nobody’s produced any yet. RUSH: Back to this New York Times — I mean, they’re trying to walk this back now, because they tried to pin these leaks on Nunes, they were trying to damage Devin Nunes with this. They wanted to run stories that Nunes had exposed the intelligence community, that Nunes had put a spy’s life at risk. These two stories, New York Times, Washington Post, were actually an attempt to destroy Devin Nunes. And it didn’t work. So now they’re walking it back, they’re trying to, and one of the attempts to walk it back is this New York Times column from Asha Rangappa. In fact, a former FBI agent. Oh, yes! It’s so perfect. And she says that the FBI wasn’t spying on Trump. They weren’t spying on the Trump campaign. They weren’t using an informant. They were protecting him. Don’t you see? The FBI loved Trump. They were benevolent as they could be. They love this whole process and they were trying to protect Trump from Russian collusion. Now, wait a minute. A, there isn’t any evidence of any. But, B, according to the theory, Trump was in on it! What do you mean, protect Trump? Trump was supposedly in on the collusion! The whole thing falls apart if Trump is a victim. Well, it doesn’t totally fall apart. They could still try to make the case the election was illegitimate. But it doesn’t matter. There isn’t any evidence. The second thing that you could use to throw this one out with the bathwater is, are you really trying to tell me that people like Strzok and Brennan and Clapper and all these other people, like Trump? These people were trying to protect Donald Trump? Are you kidding me? John Brennan is out there threatening, with his tweets, he is threatening McConnell and Paul Ryan. The former director of the CIA got to be worried that this is gonna uncover stuff that these people, I am certain, never thought would surface. Because, don’t forget, they, I think, were convinced if they could just make credible the thought, the idea that the Russians had interfered in the election and maybe determined the outcome, that the American people would be outraged and demand that Donald Trump be thrown out if the Russians determined who won, then it couldn’t be legitimate. I think they thought they could get this done in six months. And it hasn’t worked out. Some other things have, but that didn’t. The main thrust of this, forcing Trump’s resignation, has not happened. So now they’re exposed. They’re exposed big time. And Brennan is obviously afraid of being uncovered. And with Brennan involved, Obama cannot be far behind. James Freeman, the Wall Street Journal today, has a column basically asking, where is Obama in all this? I mean, these are his people doing this. It’s his FBI. 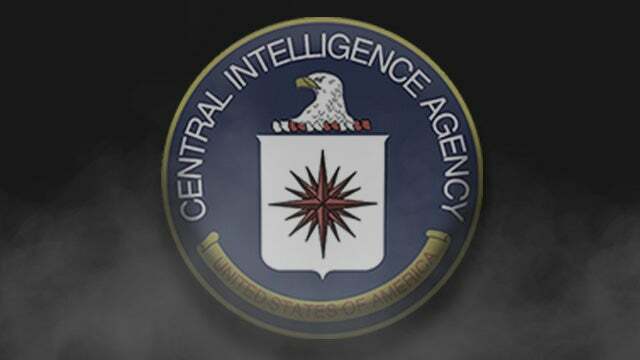 It’s his CIA. It’s his DOJ. These are his loyal and devoted staffers. Why is nobody asking Obama what he thinks of this? Why isn’t Obama weighing in? Why doesn’t Obama join his buddies and start condemning Trump? Why doesn’t Obama join his buddies and start condemning the election? Why doesn’t Obama get involved here? Why isn’t he backing up his people? Why aren’t the Drive-Bys curious to talk to Obama? Well, they are, but not about this. They’ll talk to Obama any time of day that he’ll give them time, but not about this. They’re not interested in exposing Obama. Well, here’s one of the reasons why. We’re gonna jump back a couple of sound bites. Let’s start here number one. I’ll tell you why Obama’s not involved in this and why he’s not going to be involved in this, is because we have this. October 18th, 2016. We’re looking here three weeks before the election in the Rose Garden of the White House. Obama’s got a joint prefer with the Italian prime minister, Matteo Renzi. A Reuters correspondent said to the president: “Donald Trump is telling his supporters the election is rigged, he’s asking them to monitor certain areas on Election Day. How concerned are you, Mr. Obama, about the potential for violence, and what about after Election Day? Are you worried the results of the election may be distrusted?” Now, remember, this is Obama three weeks before the election. OBAMA: I have never seen in my lifetime or in modern political history any presidential candidate trying to discredit the elections and the election process before votes have even taken place. The notion that somehow if Mr. Trump loses Florida it’s because of those people that you have to watch out for? That is both irresponsible and, by the way, doesn’t really show the kind of leadership and toughness that you’d want out of a president. 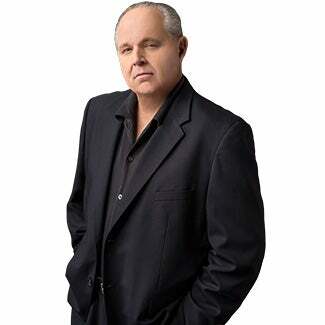 RUSH: While Obama is saying this, his people are in fact running the operation. Remember, the operation, we’re told, began July 16th or maybe July 31st, 2016. That’s when Papadopoulos told the Australian ambassador that he knew because Stefan Halper had told him, that he knew that the Russians had thousands of Hillary emails. That’s what they have told us. They first told us the dossier was the beginning of the investigation. But that fell apart. So at the time Obama makes this statement about Trump, he’s never seen anybody so trying to discredit the elections, remember, the deep state is already setting the table for it. The deep state’s already out there talking about this. Russians investigate. The DNC server had been hacked a few short months prior. And they told us that the Russians did it, for which today there remains no evidence. Nobody’s ever been presented any, nobody has seen any. We don’t even know that it was the Russians that did hack. They haven’t even proved that to us. All of that we’ve had to accept on faith, which we now don’t. So while Obama here’s talking about how crazy Trump is, his gang is running the operation. The Steele dossier is circulating Washington, they’re plotting ways to get it in news media. Papadopoulos has already told Stefan Halper that the Trump campaign knows that the Russians have 30,000 or thousands of Hillary Clinton emails because Papadopoulos was told that. He was set up. But Obama was just getting warmed up. He then continued with this. OBAMA: If you start whining before the game’s even over, if whenever things are going badly for you and you lose you start blaming somebody else, then you don’t have to what it takes to do this job. ‘Cause there are a lot of times when things don’t go our way or my way. RUSH: Now, contrast that with the way Hillary is still behaving. Can you believe these people got an award? Yeah, that’s exactly what these people do. They bomb out, they flame out, and they give each other awards to try to hide the disaster that they cause. RUSH: But then this, this is the piece de resistance. Again, October 18, 2016, two and a half, three weeks before the election, Obama’s team is running the Trump-Russia scandal. The dossier, the FISA application, spying on Carter Page, all this stuff has already begun. While Obama says this. OBAMA: There is no serious person out there who would suggest somehow that you could even — you could even rig America’s elections, in part because they’re so decentralized and the numbers of votes involved. There’s no evidence that that has happened in the past or that there are instances in which that will happen this time. RUSH: So what happened to that? How come everybody’s so forgotten this? Obama basically said three weeks before the election it’s not possible. It’s simply impossible. No serious person out there. Just like Comey said no serious prosecutor would ever bring charges against Mrs. Clinton for her email server because she didn’t intend to do it. There’s no serious person out there, Obama says, who would suggest somehow that you could even rig America’s elections. They already were saying it, and he was running the operation! No serious person would think it possible. And, by the way, he’s right. It wouldn’t be possible. That’s why all of this is so much hocus-pocus. RUSH: I want to start here down at Boca Raton. Arnold, it’s great to have you. You are up first today on the EIB Network. Hi. CALLER: Hi, Rush. You know, it’s kind of amusing that an FBI agent would say they put a mole in Trump’s campaign to protect him. Why didn’t they put a mole in Hillary’s campaign to protect her considering that the DNC server was hacked supposedly by the Russians? CALLER: That would seem to be the case. RUSH: Well, it’s dangerous. It’s a great point out there, Arnold — a brilliant, brilliant point. And I’m gonna tell you, that point, that conclusion points out to me just how much damage these people have done to integrity of the overall electoral process. Not Putin. Not Russia. These people. 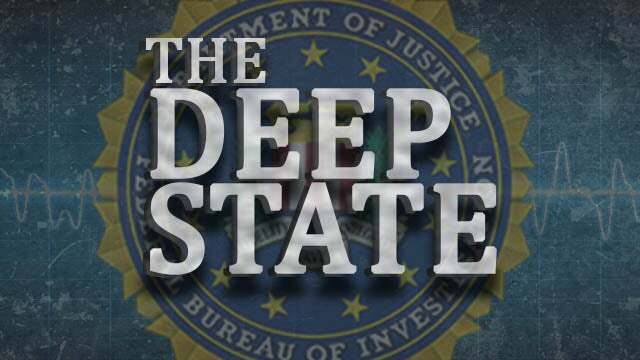 The deep state. I had an email over the weekend, after the New York Times and Washington Post outed their spy, and these stories involve a lot of Brits. A guy named [Richard] Dearlove, who ran MI6. Snerdley, do you know the different in MI5 and MI6? (interruption) MI5 is the equivalent of the FBI over there. MI6 is the equivalent of the CIA. So Stefan Halper… (snorts) Boy, the news on this guy that they’re leaking now? Do you…? (interruption) No, but the news of Stefan Halper, do you know that Stefan Halper was a spy for the Reagan campaign now. Stefan Halper is who helped steal the Jimmy Carter briefing papers. I said, “Because it’s not the Brits. People are not seeing this for what it is.” It’s not the Brits. The way to look at this… Another way of defining the deep state is the deep state is the CIA and the FBI interacting with MI5 and MI6. Or the actual way to look at that is it’s Harvard and Yale and our Ivy League working with Oxford and Cambridge and Eton and all of the elite schools in the U.K., because this is where our spies come from. The CIA and the FBI recruit actively from the upper crust at Harvard and Yale and Brown, Cornell, you name it. And the MI5, MI6 recruits from the same place. Oxford, Cambridge, Eton, any number of places. This is actually, folks… When you strip this bare, the names that we have — Stefan Halper interacting with this Dreadlove or whatever his name that ran MI6 — all of these people are from academia. That’s where they’re found. And look at what’s happening in academia and look what has been happening. Academia is going further and further left socialist and communist. Students are being taught this stuff. I’ve even got a story on that factor that I’ll get to later. But that’s from where these spies are recruited. Professors recommend the students to the agencies who surveil and interview them for hiring. Stefan Halper, for example, has dual citizenship. He has professor at Oxford, Cambridge, and at our Ivy League. He’s worked for the CIA. He’s worked for the FBI. He’s worked for MI6. He worked in the Reagan administration. He worked in both Bush administrations. He tried to infiltrate the Carter administration. He’s being blamed — not blamed — he’s being targeted as one of the people involved in the operation that stole Carter’s debate — in other words, this guy — it’s no big deal he spied on Trump. He first spied for Reagan, for the Republicans, against the Democrats. He even sought to be placed on the Trump foreign policy advisory team. He approached a guy named Sam Clovis, who lives in Iowa. Sam Clovis, Trump adviser in 2016 through the end of the year. He’s a big guy, very full face. You’d recognize him if you saw him. Halper sought the guy out and said, “Hey, you know, I really love what Trump’s doing here and I would love to be on the foreign policy team.” And Clovis was made nervous by the guy. And nothing happened. But that happened in 2015. These people are all academics, or they have deep ties to academe, and they go back and forth from being informants and spies to professors and operatives and so forth. It’s so much… It’s not so much that we have the U.K. aligning with us against Trump. This is academia. This is Western Civilization academia, elitists, eggheads aligning against Trump. And they are a significant aspect of the deep state membership. It’s actually bad news for the country, if want to play it all out. But what it means is, I don’t know if this headline is accurate, actually: “Russian Investigation Has Exhausted the Public.” I imagine some people are tired of hearing about it. Oh, and I just got an email from a friend that just got back from Cannes, the film festival. He’s telling me what he thinks of all this stuff going on and says, “And, by the way, I just got back from Cannes where nobody gives a rat’s rear end about it.” It’s Hollywood. Why would they? Why would you expect those dumb asses at Cannes to be concerned about this? They think Trump’s guilty, they think he should go, that’s it. But look, I know that there’s probably, in this audience, I don’t imagine you all are tired. You’re tired of the mainstream media presentation of it because you don’t care. You don’t care. I mean, these people are not causing you to lose your support for Donald Trump. You just don’t care about this. So the dilemma for me is it fascinates me, and I think this stuff is so actionable, I think what has gone on here, there are people that should be in jail for a long time over what has been done here. And I don’t want people to just get ho-hum about this and getting exhausted by it is one of the objectives of the media, I’m convinced. I don’t want to jump the gun on these things, but it’s clear that their original objective of forcing Trump to resign has failed. I by no means think they have given up. Do not misunderstand. But they missed the big window of opportunity. They’re not gonna go away. They’re gonna keep trying to make this happen, and even if they fail, they’re not going to stop pursuing Donald Trump, ever. Their objective of ruining Trump and his family and close associates will continue even after he leaves office, I’m convinced. I mean, people that do what Trump has done have to get a lesson. They have to pay the price for upending the national order like this. This just cannot be permitted to happen, as far as these deep state people are concerned. But there are new developments in it each and every day. And folks, I think it’s crucial that you know. And the more that you know, the more you become so familiar with it, you can explain this to other people, the better. Because it is genuinely appalling what has been done here.